GALLOWAY TWP., N.J. (WPVI) -- A New Jersey teenager was arrested after police found he was in possession of parts to assemble a semi-automatic rifle. On April 12, the Galloway Police Department said they received information that led them to the teen. After further investigation, the 16-year-old boy was arrested. 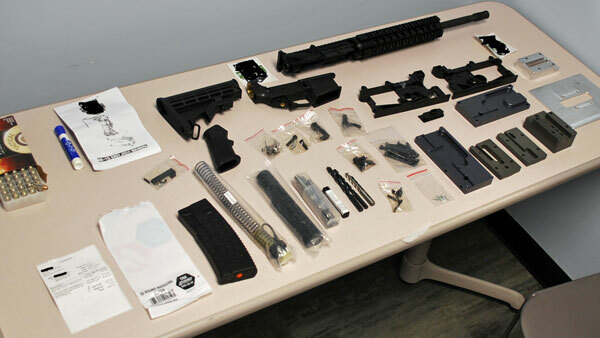 Police say they seized all the parts and tools required to assemble a fully functional semi-automatic AR-15 rifle. Ammunition for the rifle was not located. Police also found hollow point ammunition for a .40 caliber firearm. Though, a firearm capable of firing this ammunition was not located. In addition, police seized cocaine. At the time of the arrest, police say the 16-year-old was on juvenile probation for possession of a handgun on school property. The teen has been transferred to the custody of Atlantic Youth Detention Center on the following charges: Possession of an Assault Firearm, Tampering with Physical Evidence, Credit Card Theft, Wrongful Impersonation, and Possession of Cocaine.